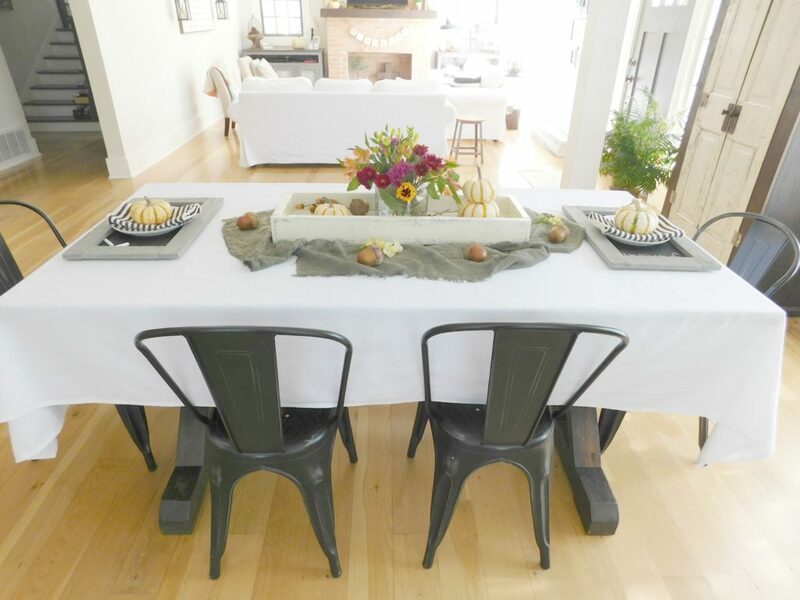 As fall approaches, so do the holidays that have us gather around the table. 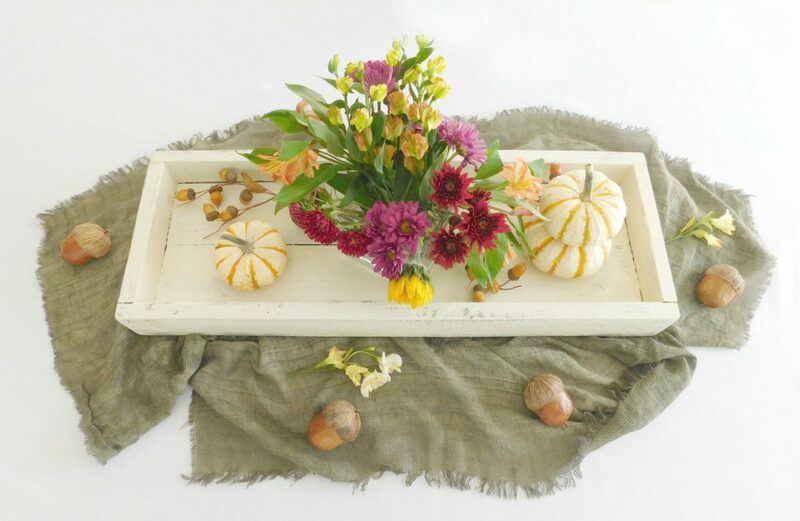 Here are a few quick, easy farmhouse fall centerpieces that you can create with little effort that will have your table looking GREAT for the season and all of the gatherings you have planned. 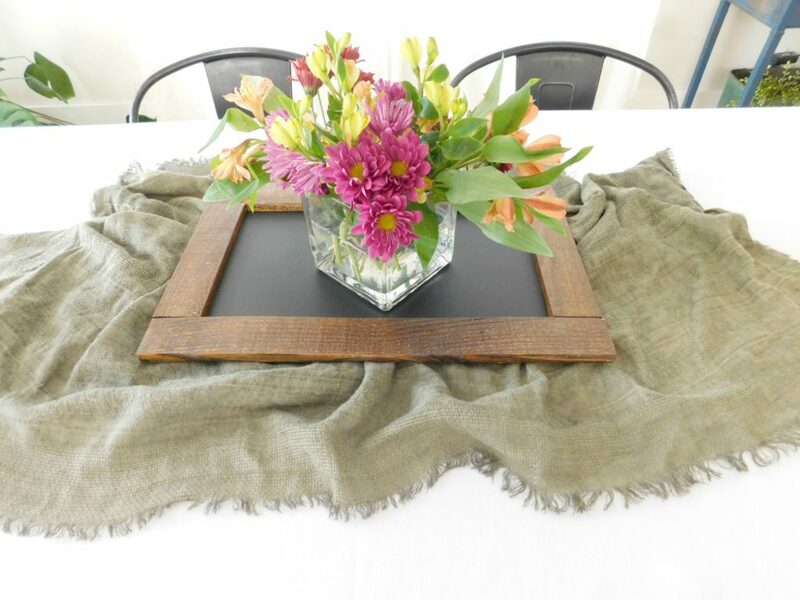 Find the wood tray styled in the photos above here. 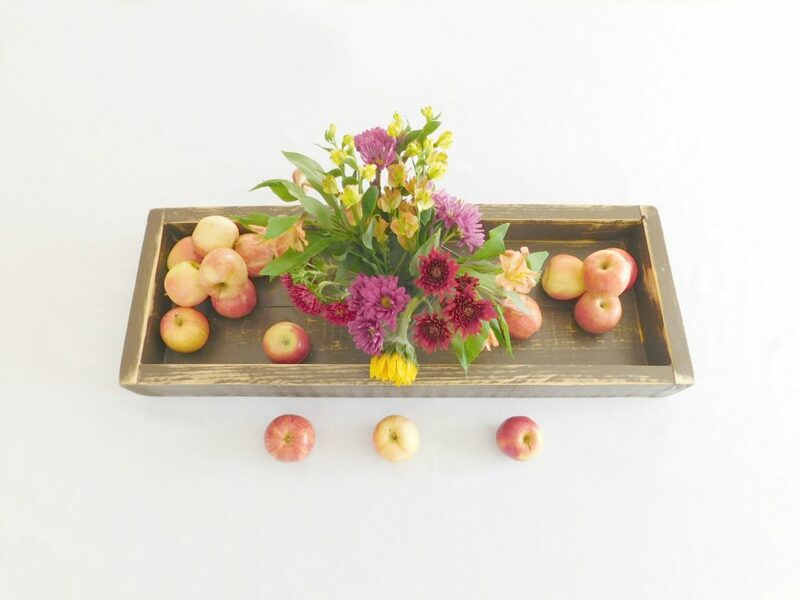 To make a centerpiece like this you only need a few things. Many of them you probably already have. 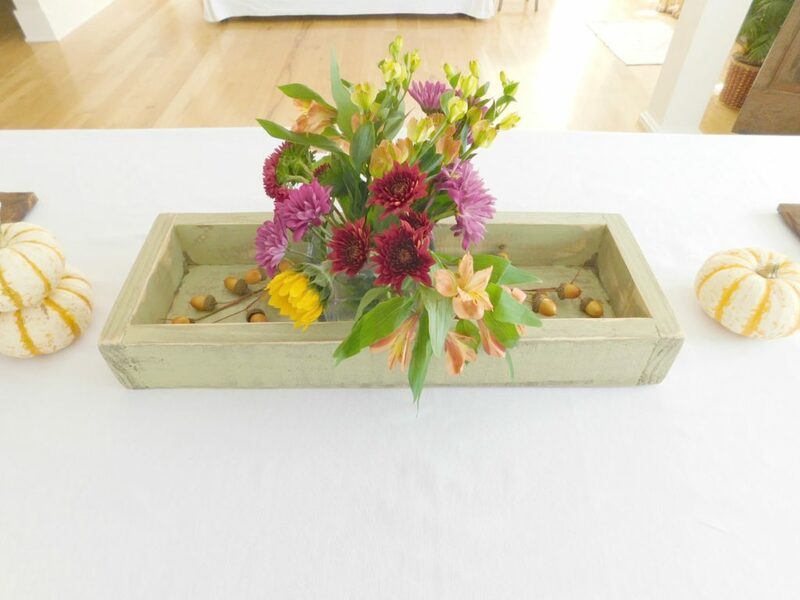 Vase or container of some kind – get creative here. I used a small square vase because it was easy to grab. The possibilities are endless. Fresh goodies like flowers, apples, mini pumpkins, etc. For these photos I spent $12 on grocery store flowers and $3 on a bag of apples that I was buying for my family anyway. 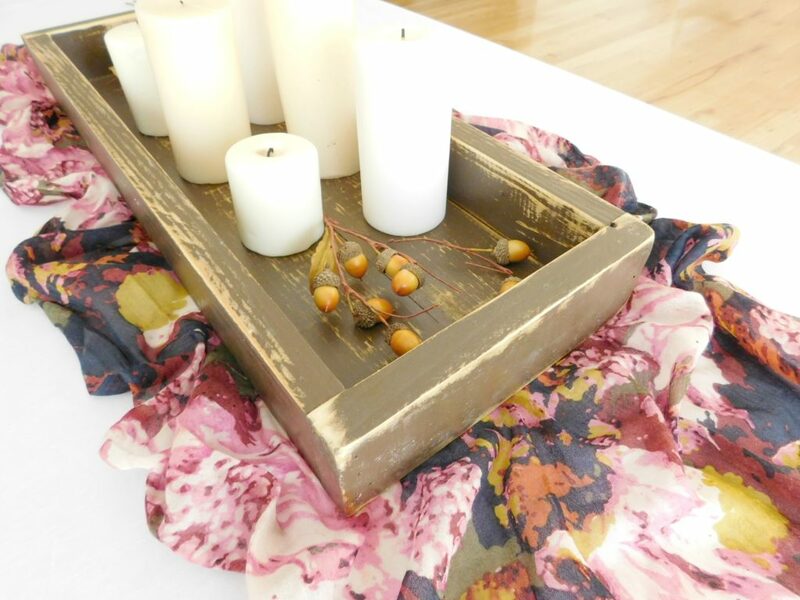 Rustic wooden tray in dark chocolate here. I added a few artificial acorns for texture in a few of the settings. I got these years ago at the dollar store. 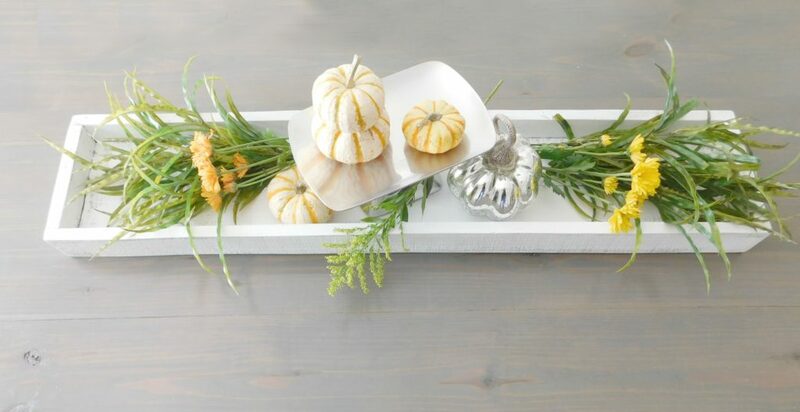 Decorating doesn’t have to be fussy or expensive. And it SHOULD be fun and easy. 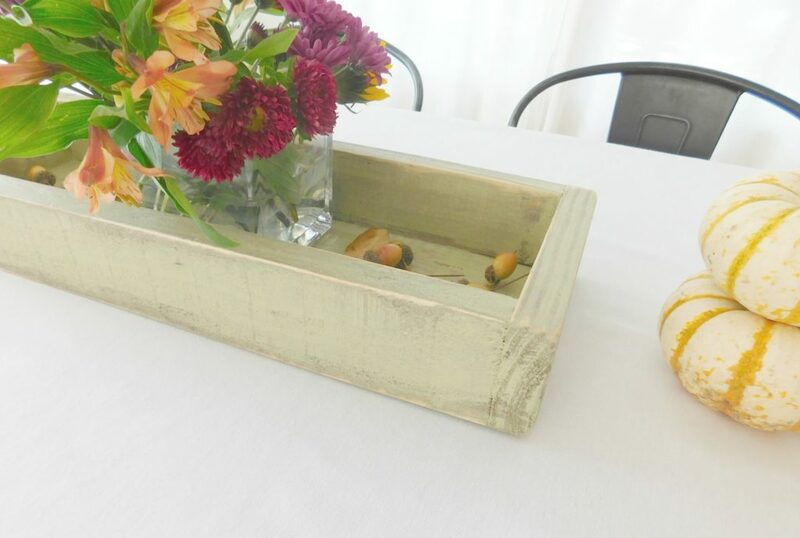 Smaller decorative wood box for centerpiece found here. Find sets of chalkboards like the one above here. A bit unconventional for a centerpiece, yes. Fabulous and fun, even more yes! 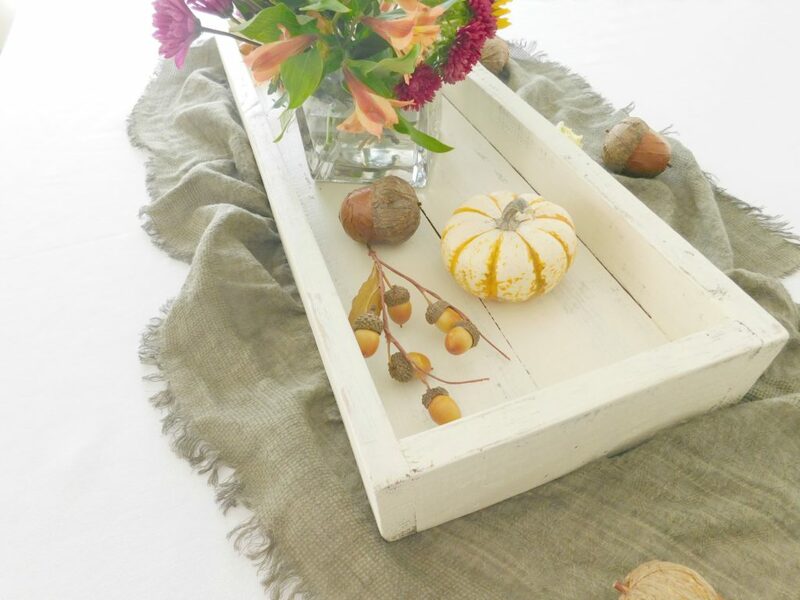 We don’t have to follow a bunch of rules when it comes to decorating our homes. We need to get comfortable doing what WE like and do a bit less worrying about what everyone on Pinterest or Instagram is doing, yes? 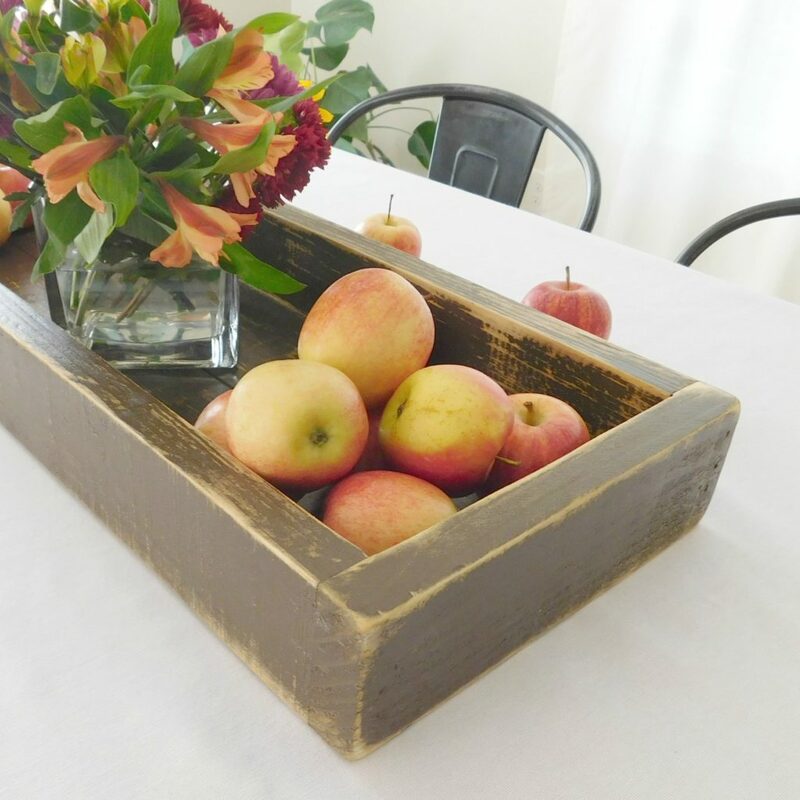 Super long farmhouse centerpiece box here. This tray is 4 feet long! Don’t let that stress you out when styling it! Grab 2 or 3 of your favorite things and start with that. 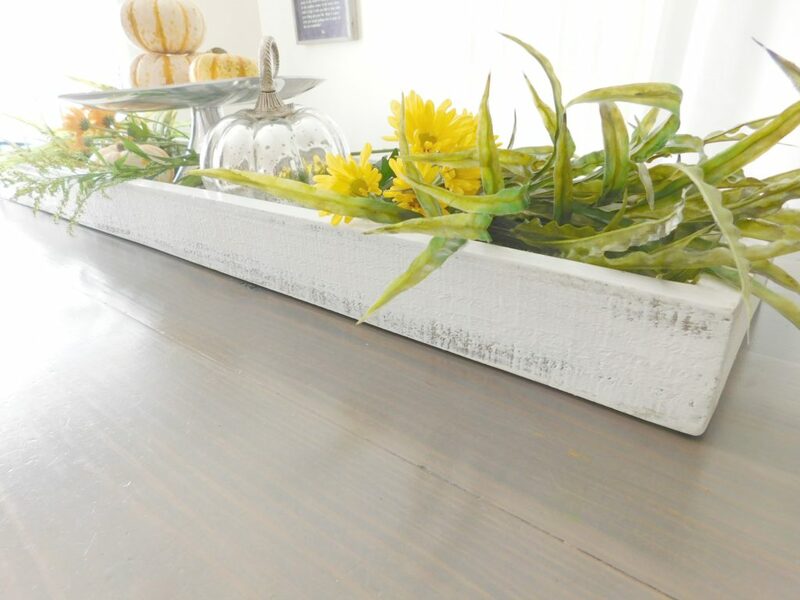 Add greenery, maybe some flowers and you’re on your way to a beautiful table in minutes. Another scarf from my closet for the win! Super simple. 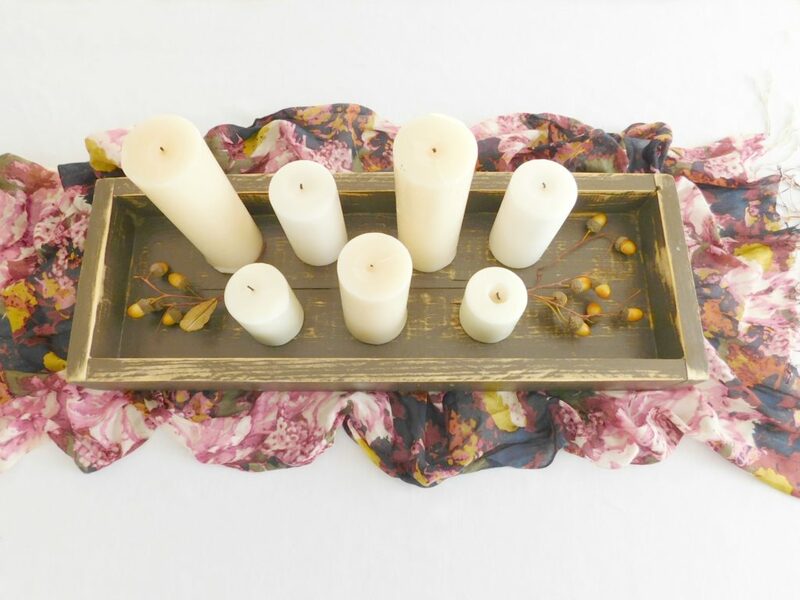 Scarf, decorative tray, candles, done. Oh… and dollar store acorns for good measure! 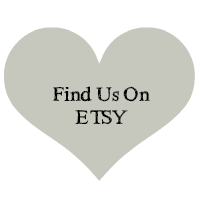 View all of these items and more in our shop. Want all of this goodness and more delivered straight to your inbox? Sign up here.